In a desperate move, Colorado Republican Rep. Scott Tipton is attempting to paint his opponent Diane Mitsch Bush as a socialist threat because she subscribed to In These Times. As a Democrat running in 2018, it’s easy to see why Mitsch Bush would want to read “a leading socialist magazine”—to see what more than half of her constituency wants. 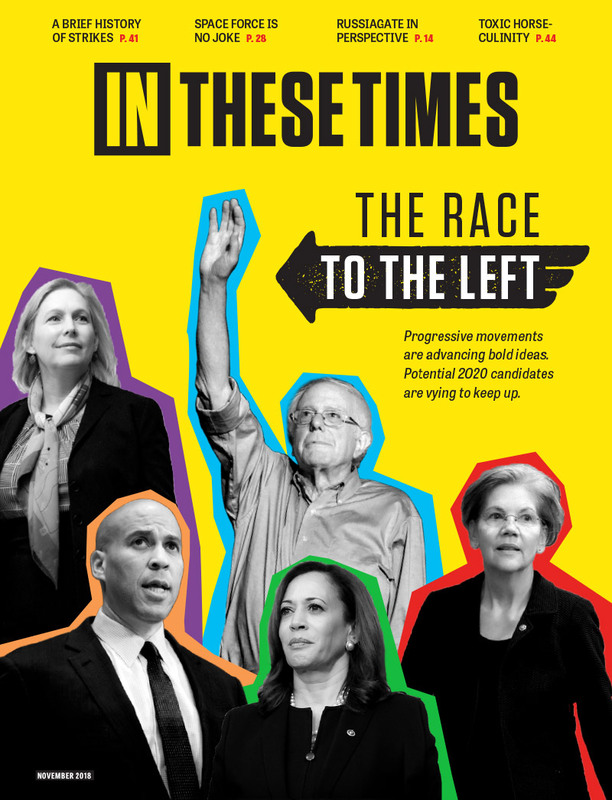 This month, In These Times magazine became a campaign issue in the 2018 midterms when Republican Rep. Scott Tipton of Colorado’s 3rd District accused Democratic challenger Diane Mitsch Bush of having “helped fund a leading socialist magazine” by subscribing to ITT. In an attack ad released October 17, Tipton first invoked the Democratic Socialists of America—an organization with no apparent connection to Mitsch Bush—saying that members of the organization “openly propose to do away with capitalism.” The ad then non-sequiturs to ITT as a “leading socialist magazine”—and concludes that “it’s no wonder Mitsch Bush supports a government takeover of our healthcare system,” i.e. Medicare for All. Mitsch Bush does not call herself a socialist: “For the record, I am not a socialist, I’m a Democrat,” she says. Her economic platform includes business-friendly promises to “implement effective business tax policy, encouraging corporations to operate…in the US,” and to “incentivize small business expansion,” along with more pro-labor proposals like raising the minimum wage and supporting collective bargaining. She endorses single-payer healthcare, but her education plan calls for defending Pell Grants, not for eliminating tuition at public schools. If her minimal support for ITT makes her responsible for the operations of the publication, Mitsch Bush is something of a media mogul—her campaign says she also has subscriptions to the New York Times, Washington Post, Denver Post, Time and Newsweek, as well as Ms., The Nation and High Country News. Not even Rupert Murdoch controls so many influential outlets. But Tipton obviously believed he could score points by tying Mitsch Bush to ITT, and therefore to the bogeyman of “socialism.” Even as guilt by association goes, this requires a couple more steps; while in its inception ITT identified itself as “an independent socialist newspaper,” the publication hasn’t done so for almost 30 years. When ITT was founded in 1976 by socialist and historian James Weinstein, he hoped to emulate the success of the Appeal to Reason, a Kansas-based socialist paper whose circulation reached a peak of 750,000 in the years before World War I. That paper thrived in tandem with the now largely forgotten rise of homegrown socialism in the early 20th century—and fell likewise when World War I and the Russian Revolution led to a wave of government repression and institutionalized redbaiting. The mid-1970s were a brief moment when it looked like the power of that redbaiting was ebbing as the end of the Vietnam War and the fall of Richard Nixon suggested that a New Left might be able to match or even surpass the success of the Eugene V. Debs-era socialist movement. Alas, it was not to be: The right turn the 1980s led to a re-intensified Cold War and a shrinking of the ideological space available to the Left. Almost 30 years on, the Cold War is over. The “War on Terror” and great-power rivalry with Russia and China continue to justify an enormous military industrial complex, but neither Islamophobia nor invocation of Vladimir Putin can effectively tamp down the domestic left-wing political scene the way the Red Menace did: You can’t scare people away from criticizing capitalism by accusing them of being ISIS lovers, after all. And these days liberals are more eager than conservatives to accuse their opponents of being Russian stooges. Without a convincing way to tie the idea of a people-centered economy to sinister foreign powers (no, Venezuela does not qualify), socialism has made something of a comeback. A Fox News poll this year showed that 36 percent of the population say it would be a “good thing for the United States to move away from capitalism and move toward socialism.” Gallup found that 57 percent of Democrats, and even 16 percent of Republicans, have a positive view of socialism, as do 51 percent of all people under 30. Meanwhile, capitalism has no more than 60 percent support among any age group. 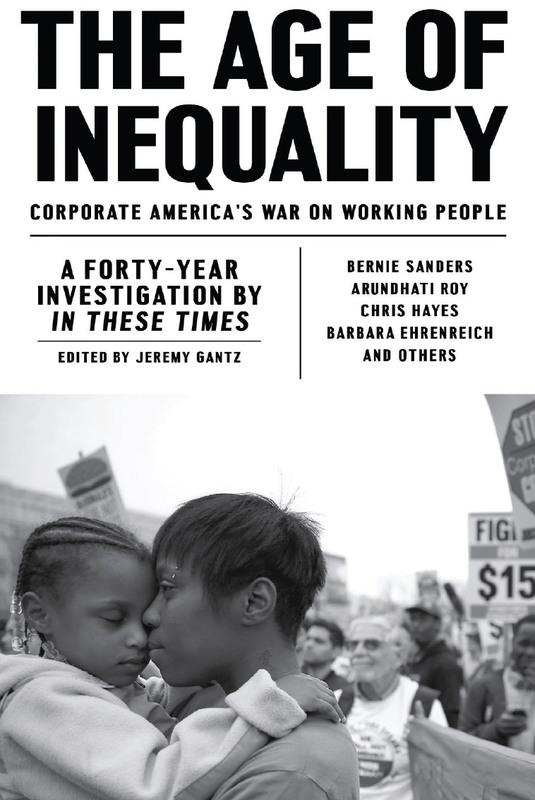 Since a 2017 redesign, the masthead of ITT has featured a quote from Weinstein: “No political movement can be healthy unless it has its own press to inform it, educate it and orient it.” The political movement served by ITT may not be identified strictly as socialism, but it definitely includes socialists—no left-of-center politics can succeed without including socialist sympathizers and critics of capitalism. As a Democrat running in 2018, it’s easy to see why Mitsch Bush would want to read “a leading socialist magazine”—to see what more than half of her constituency wants. The real question is: Why aren’t more Democrats subscribing to In These Times? Communists are the same as Nazis and should be treated as such. I'll double your bet that the author has never met or corresponded with a refugee from a socialist Eastern European country. Put money down there are some Trumpies who read it.